Its a wery good template! 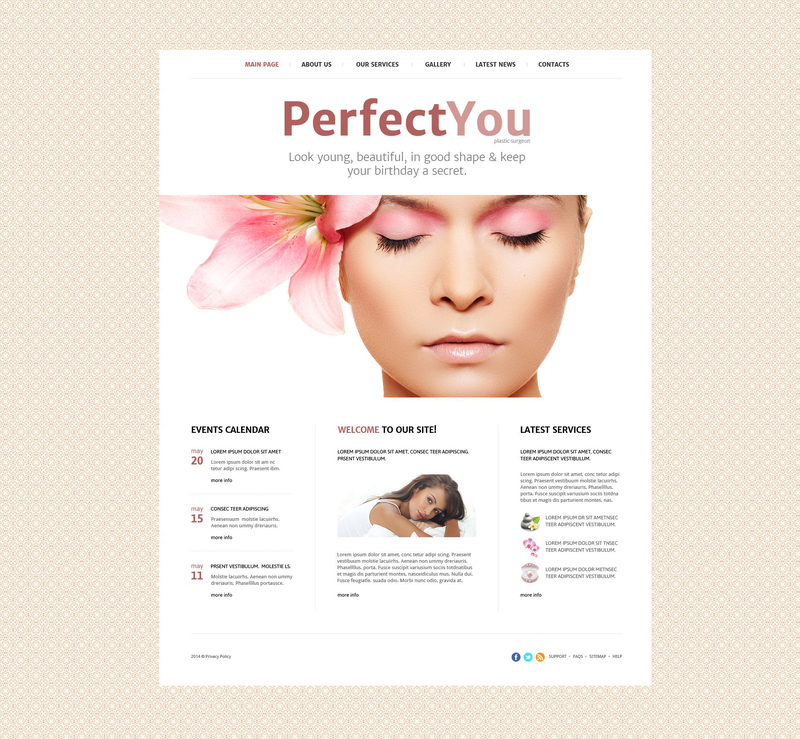 Need a website for plastic surgery clinics or beauty salon? Here is a possible variant. It is made in neutral beige colors with floral pattern in the background. Its clean, simple design is highly relevant for the purpose. Main sticky menu stays constantly on top of the page. Images of young gorgeous women in slider raise trust to the company. Content is styled in three columns. Here the visitors can read welcome message, events calendar and latest site news. Back to top button and social sharing block are at the bottom of the page. I bought this template for a client, who sells and hires beauty machines. We found every kind of pages in the template what we needed. The page looks great and easy to navigate. Te source is well documented and prepared for a easy build in. I liked to work with it, my clients loves the result. Looks nice on tablets and mobile phones too, not bad in extremely wide monitor also. The included images are nice also.